Today we are lucky enough to have Maura & Sam with us Guest Posting from Charlie's Kids - they are an amazing coupe who were willing to share with us all their story. Please take a moment to read this post, visit their site, and feel free to leave comments in response on our Facebook page. When my husband, Sam, and I found out we were pregnant with our first son we were over the moon. We couldn’t wait to share our pregnancy news with friends and family, and excitedly prepared for his arrival. We read all the baby books, had half a dozen showers and spent copious amounts of time making sure his nursery was just perfect. On April 6, 2010, we finally got to meet our sweet baby boy. He was born a perfect, healthy bundle at 7 lbs. 11 oz. We named him Charlie Paul. My love for him grew deeper and stronger each time I held him, nursed him and sang to him. I could stare for hours into those beautiful, trusting eyes. We imagined Charlie’s life, and made plans. We looked forward to zoo visits, baseball games and his first day of kindergarten. But our dreams were cut short. 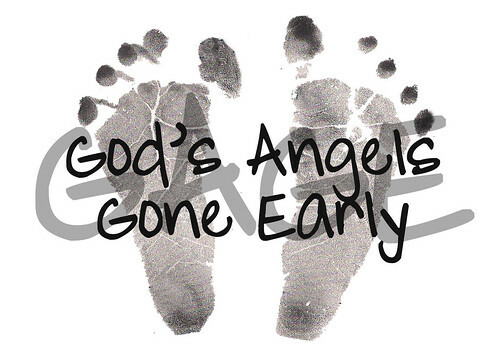 Three short weeks after welcoming our Charlie, he died, a victim of Sudden Infant Death Syndrome(SIDS) and an unsafe sleep environment. Like most new moms, I picked out a cute, new outfit each day, changed a bunch of diapers, and tried desperately to remember all the words to the nursery rhymes and songs that brought me joy in my childhood. I nursed him and rocked him, and worked hard to make sure my baby was happy, healthy and had a full belly. I did everything, except sleep, and after three weeks complete exhaustion took over. Sam, the ever-doting daddy, held Charlie that night so I could catch a few hours of uninterrupted sleep. Tired, he laid on the couch with Charlie, the perfect picture of sleep-deprived father and son. It wasn’t unusual; we so often see this photo on Facebook — baby asleep on dad’s chest, dad sound asleep too. Sam woke up, Charlie didn’t. We now know: this sleepy snuggle is actually dangerous for our babies. Co-sleeping and tummy sleeping are two of the leading risk factors for SIDS, and this includes those innocent naps on the couch or accidentally falling asleep after nursing in the night. So, when trying to calm a newborn at 2 a.m., or sneaking a few extra zzz’s during the day, think of our Charlie. We want you to know that your baby is safest on his or her back, alone in the crib. This has become one of our life missions. There is nothing that can take our pain away, but trying to prevent other families from living this same nightmare offers some sense of purpose as we move forward in our grief. With that goal in mind, on April 6, 2011 – Charlie’s first birthday – Charlie’s Kids Foundation was established. Our mission was clear: to raise awareness and support of SIDS by educating families, providing resources for new parents and promoting dialogue about SIDS and safe sleep practices. In just a few short years we have been able to see long term dreams become a real working reality. With our unique backgrounds – me, a kindergarten teacher with a Masters in Reading, and Sam, a pediatric cardiologist with a passion for advocacy – we knew when we started our foundation that we wanted to use children’s books to spread the safe sleep message. Today we could not be more proud of our very own Charlie’s Kids bedtime book, Sleep Baby Safe and Snug, written by pediatrician Dr. John Hutton. Based on the American Academy of Pediatrics’ Safe Sleep Recommendations, we know this little book is having a huge impact, as it is being heard, remembered and read over and over again by parents and caregivers to their little ones. Sleep Baby Safe and Snug provides the safe sleep message in the context of a beautifully written and illustrated children’s story. Because books are often part of the traditional bedtime routine, this book provides safe sleep instructions and reminders right before the child is placed in their sleeping environment. With this small but mighty book we have partnered with organizations across the country helping to spread this most important safe sleep message. And, in doing so, Charlie continues to be a big part of our family and everyday lives. We talk about him. We include him in our family pictures. His name is on our Christmas card. We always tell people we have three children. Through Charlie’s Kids, we believe Charlie is becoming a part of families across the country too. We know his too short life is making a big difference. 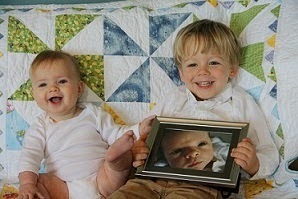 While their family is forever altered, Maura and Sam made Charlie a big brother upon the arrival of Owen Daniel in June 2011. They welcomed their third child, Annie Elizabeth, July 2013. They can’t wait to tell their children how their big brother has changed so many lives for the better. Sleep Baby Safe and Snug is now available at select retailers in Cincinnati: The Blue Manatee, The Villager and Joseph Beth Booksellers. It is also available online at Amazon.com. If you are a member of a community organization, hospital or health department, please contact us at charlieskids.org for more details and special pricing. If you would like to guest post with us this month it isn't too late, please send us a message via our Contact Us page.